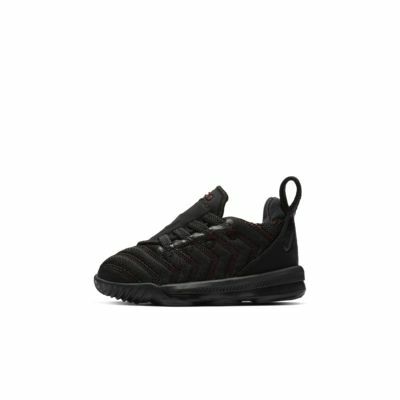 The Nike LeBron XVI Infant/Toddler Shoe delivers a powerful combination of strength and responsiveness. A new gusseted tongue provides easy entry then locks in when you lace up. Pop the tongue off court for instant style you can wear anywhere. Lightweight textile around midfoot and collar for sock-like fit. Rubber cupsole design is durable and flexible. Foam midsole cushions your foot. 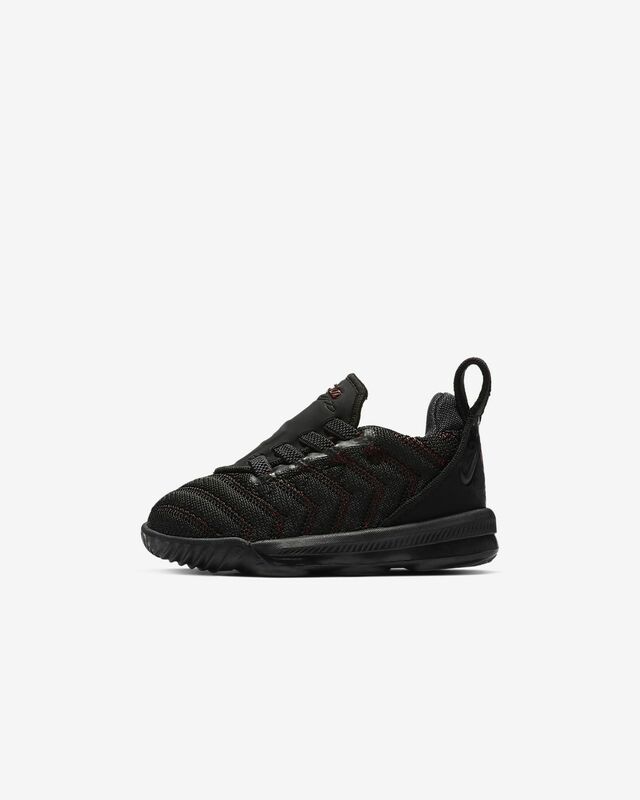 Great toddler shoe. Flexible & no laces or Velcro!